Fascinated by big cats? 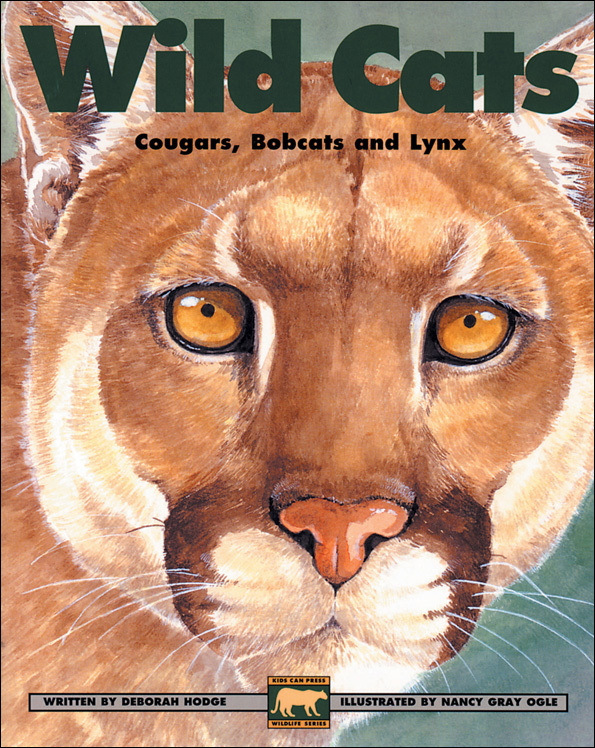 Wild Cats: Cougars, Bobcat and Lynx is a neat find and a great resource for those looking for some straightforward information on the life and times of the North American big cats. Wild Cats covers the habits and movements of cougars, bobcat and lynx, including a lot of information about their young. Naturally, the book also spends some time discussing how these apex predators hunt. Depending on how sensitive your audiences are, you may want to prime them when it comes to the depiction of the lynx catching the snowshoe hare. The book features Wildcat Facts on each page, which provide additional knowledge about these sometimes maligned animals, including the fact that they rarely attack humans (unless sick or defending their kittens). There is also a very important section of the book which touches on the fact that humans have encroached into wildcat habitat in a significant way and some of the repercussions around this. This is especially significant because a rising number of western communities are finding themselves unwilling hosts to cougars, a situation often ending with the cougars being killed. The end of the book also showcases some of the wildcats around the world, as well as a North American wildcat glossary and guide to tracks. We’re looking forward to checking out some more titles from the publisher, Kids Can Press, which has an entire series on wildlife.